In life, Rev. Michael Mireau cast a long shadow. Thousands attended the funeral of the social-media priest, a ponytailed man who was often seen in his Superman sweatshirt with his long-haired dachshund Nemo by his side. Known affectionately as Father Catfish, Mireau was as comfortable talking about theology as he was discussing superheroes and Star Wars characters. It was his ability to relate to young people, through personal encounters and through videos on his website, that was unique. 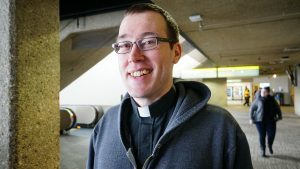 That legacy lives on years later, in Father Michael “Catfish” Mireau Youth Faith Day, an annual event organized by the Edmonton Catholic School District for the last four years. 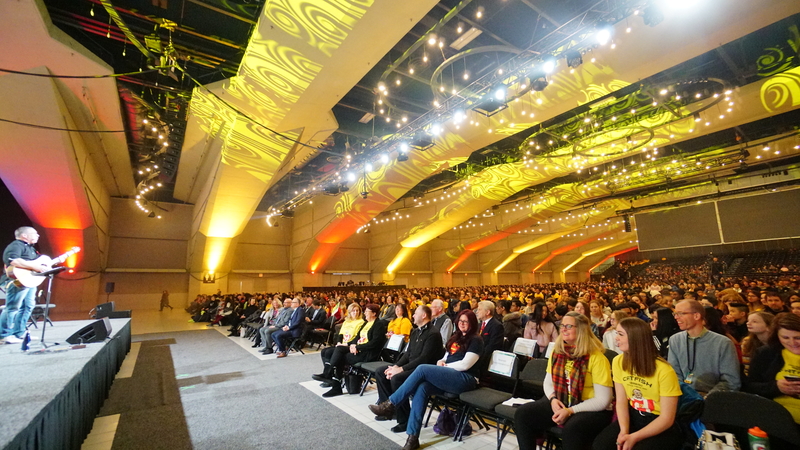 Over 4,000 Grade 8 students from Edmonton and Greater St. Albert Catholic Schools packed the Edmonton Convention Centre on Feb. 4 to thank Father Catfish for his lasting gift: a day to celebrate faith together in an event that was more like a concert with music, dance, singing, as well as Mass and a message of hope from Steve Angrisano, a ministry leader. 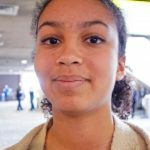 “It’s really good chance for us to celebrate being Catholic and embracing our faith and learning more about it. 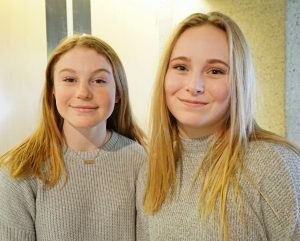 I find that really good and really fun,” said Kendra Giesbrecht, a student at Ecole Secondaire Sainte Marguerite d’Youville in St. Albert. Father Mireau died of cancer on Sept. 22, 2014, at age 42. He’d served as chaplain of the Edmonton Catholic School District and was a passionate supporter of Camp Encounter, an archdiocesan summer camp at Lac La Nonne, northwest of Edmonton. It’s where he is buried — and where, as a camp leader, he got the nickname “Catfish,” based on his childhood hobby of drawing cartoon catfish. In Edmonton, Father Mireau is memorialized with an elementary and junior school that bears his name and an Edmonton Catholic School Foundation endowment fund. But perhaps his greatest legacy is in the videos he created – even as he was dying of cancer — and the thousands of students who celebrate the Youth Faith Day that bears his name. “It reminds me of the phrase of Pope Benedict, who said ‘The Church is alive and the Church is young,’ ” said Rev. Glenn McDonald, one of two current district chaplains for Edmonton Catholic Schools. Students say they can relate to Father Catfish and lessons on faith and hope in a more personal way. The annual Youth Faith Day targets students in Grade 8, which can be a challenging year. Lauren Proskurniak, a Grade 10 student at Mother Margaret Mary high school who served as this year’s emcee, said most students don’t know what to expect. “They just think it’s some church thing. But it’s really fun. Very inspiring. It helps the kids embrace their faith. 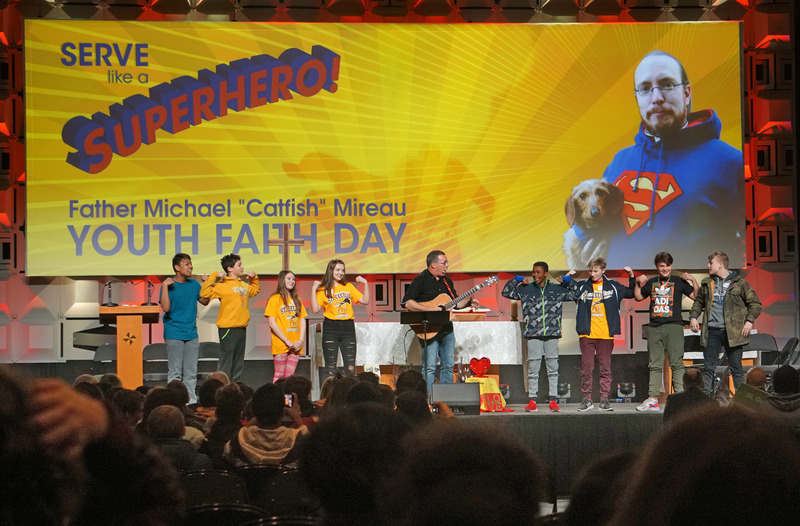 Father McDonald said the Youth Faith Day is a “natural extension” of Father Catfish’s ability to reach young people, and a reminder that even years after his death, his message lives on. “I really think that he gave up his life and his public suffering helped bind the school board together in a way that no one else could have done,” McDonald said. “It’s kind of like (Pope) John Paul II. His public death brought the Church to a deeper understanding of the mystery of the cross. And Father Mike did that on a personal level for us and for our young people. “I think that is a tremendous legacy that he gave. His willingness to allow people to journey with him in his suffering was remarkable in its articulation of the cross, death and hope of the resurrection. 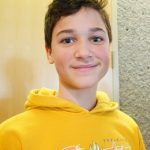 Angelina Jiles, a student at Louis St. Laurent School, took to heart his “God is love” message ̶ one that was emblazoned on T-shirts for the day and serves as the official motto of Father Michael Mireau school.